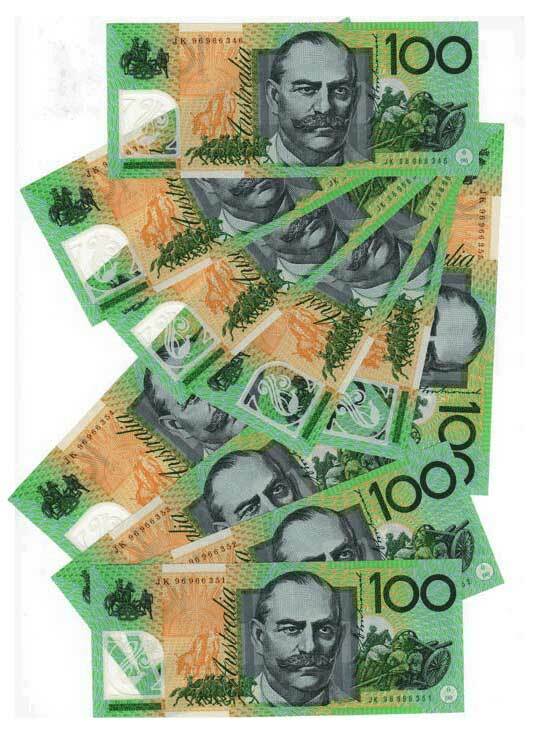 The one hundred dollar polymer banknotes were introduced into general circulation in 1996 with the signature combination of Fraser/Evans-the former being the Governor of the Reserve Bank the latter being the Secretary to the Treasury. During the first year of issue in 1996 many types of banknotes were issued within the one hundred dollar range. Most of which escaped the Australian public’s attention. Test banknotes were the first prefix AN & last prefix CN 96, together with a general circulation test note. Prices for these notes are ever on the rise, as the public were unaware of the existence of the banknotes until many years after release most banknotes went to circulation, eventually reaching the end of their useful life, before being recalled & recycled. Uncirculated banknotes are rarely sighted. From 1996 to 1999 when production of one hundred dollar banknotes ceased production until 2008 first and last prefix were issued in 1996, 1998 & 1999. The 1999 McFarlane/Evans signature combination was the last issued no banknote were produced from 2000 to 2008. The stopping of production was due to a major print run of one hundred dollar banknotes in 1999, prior to executives of The Reserve Bank of Australia deciding that with the supposed impending threat of the Y2K computer bug due to befall the world’s computers on the 1st January 2000. The Reserve Bank would print and hold in storage sufficient quantity of the banknote to allow for this possible contingency (source-anonymous The Reserve Bank of Australia). No banknotes were printed in 1997 with the exception of “Decimal Dated Annual Issues” these were issued to collectors/investors in full colour folders which have shown a wonderful capital return over 10 years of 15% per annum. Therefore banknotes were circulated in 1996, 1998 and 1999 only, due to this fact of only 3 circulated print run’s banknotes within the series whether these be the first and last prefix’s, test banknotes or general circulation banknotes hold a prominent position in Australian banknote investing, due to three calendar years of printing. Of all Australian polymer banknotes first and last prefix issues the last prefix of 1996 is one of the more successful in relation to investing potential return and rarity. The last prefix was the JK96 with the signature combinations of Fraser/Evans with a current value of $900.00. for each uncirculated banknote. Not bad for a banknote that started out its life with a value of $100.00. Investors and collectors alike are always looking for the elusive JK96, so few were printed, so many destroyed that uncirculated banknotes that have survived to this day total in the number of thousands only.